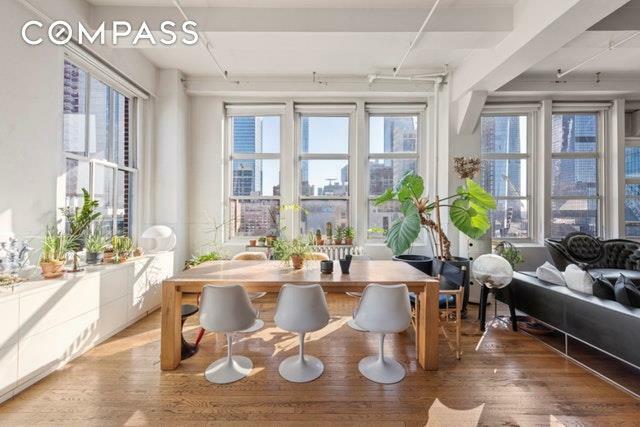 Stunning light filled corner loft in Hudson Yards! 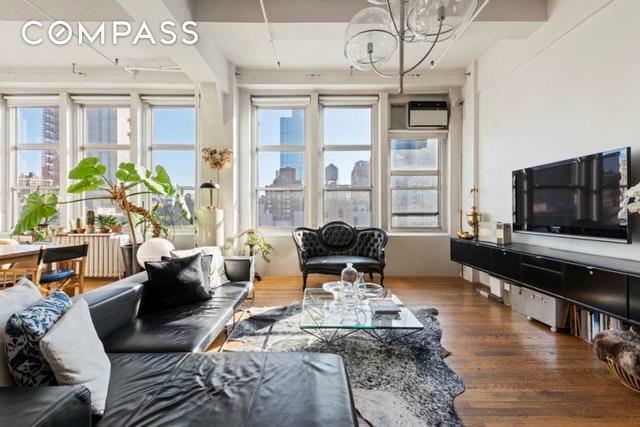 Walls of eastern and southern windows, 12 foot windows and wonderful city views including the Empire State Building and Hudson Yards. 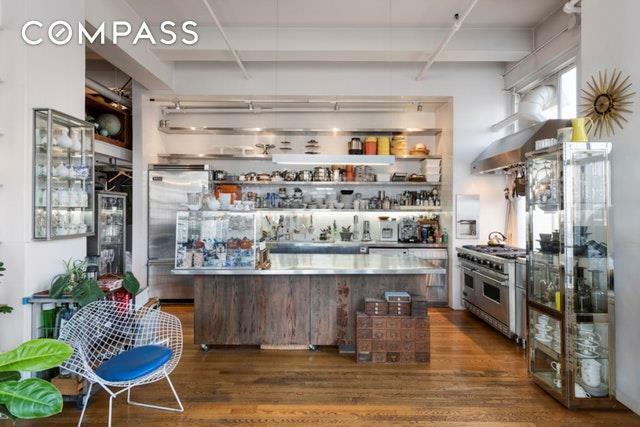 Featuring an open kitchen and very flexible layout which allows for building out 1 or even 2 bedrooms. The stainless kitchen includes appliances all by Viking including a vented double range with 6 burners and grill. Also in the kitchen is a Miele washer and vented dryer. The bathroom is an oasis complete with rain shower and large soaking tub with split-face slate accent wall and walnut ceiling.The Glass Farmhouse Condominium is a live/work loft building and is pet friendly with common roof deck, intercom entry and part-time lobby attendant. 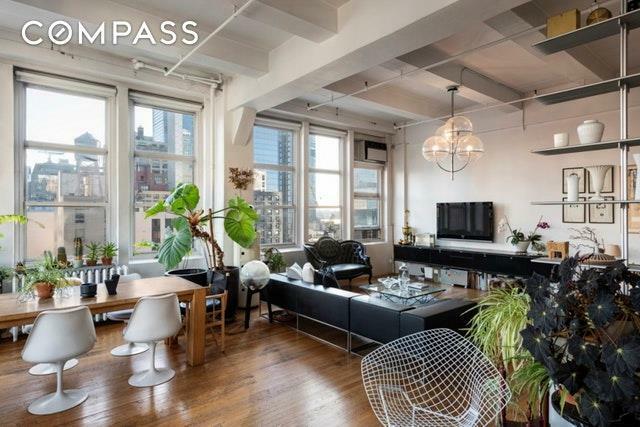 Located blocks from mid-town and Hudson Yards.